What is High-end Auto Detailing? Auto Detailing should not be confused with basic car washing and waxing. High-end Auto Detailing is actually an extremely thorough cleaning, polishing, and waxing of an automobile -- sometimes both inside and out. The final product is of showroom quality. Detailing not only improves the appearance of your vehicle but also helps to preserve it and therefore protects your investment. 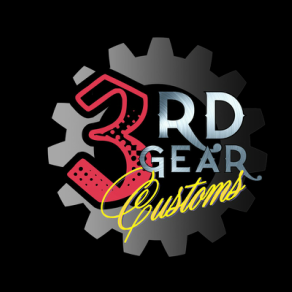 The three most important elements of an Exterior Auto Detailing are cleaning, correcting, and protecting. Cleaning - Removal of all foreign particles from the exterior surfaces of the vehicle through the use of washing and quick cleaning techniques. A clay bar treatment helps to get rid of contamination and dirt from within the clear coat that cannot be removed through weekly washing. Clear coat contamination can come from many factors, including but not limited to: industrial fallout, air particles, dirt particles, tar, and animal droppings. Correcting - Removal of a fine layer of clear coat from a vehicle through hand or machine polish using specific polishing pads and products. This process removes fine scratches and swirls from the exterior paint surface produced by improper washing or drying techniques. Protecting - Application of a liquid or paste protective material that prevents foreign matter from adhering to the exterior surface of the vehicle. This includes water, bug splatter, tar, dirt, etc. Waxes and sealants provide a barrier against the elements and the exterior paint surface. 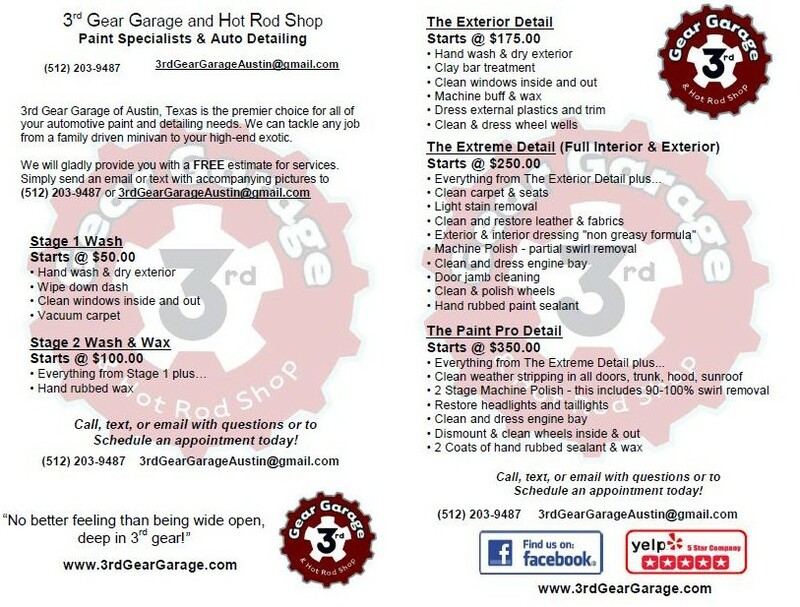 Click here to see Before and After pictures of Auto Detailing projects at 3rd Gear Garage and Hot Rod Shop.